This fall, four of Stones Throw Records’ newest signings will hit the road together to celebrate each of their debut releases out this year. Stones Throw Tour 2018 will feature performances from oddball synth pop guru Jerry Paper, hypnotic beats and keys from Kiefer, classic 80s– and 90s–inspired R&B from Stimulator Jones, and synth funk from lost legend Prophet. Stones Throw Records, established in 1996 by DJ Peanut Butter Wolf (Chris Manak), has developed an international, cult–like following for its eclectic, left–of–center roster. The label has released critically acclaimed music from the likes of Madvillain, NxWorries (Anderson Paak and Knxwledge), J Dilla, Madlib, Mild High Club, Sudan Archives, and Washed Out. 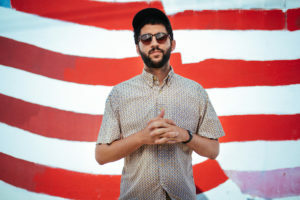 Kiefer is an LA-based jazz pianist and beat maker. He just released his sophomore effort, Happysad, to praise from Consequence Of Sound, BBC and more. When not working on his own stuff, he makes beats for the likes of Kaytranda and Anderson Paak. 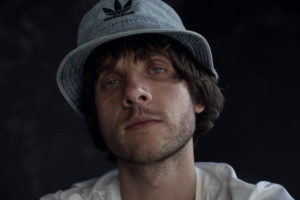 Stimulator Jones is a Virginia-based RnB crooner who shreds on the guitar and plays every instrument on his debut record recently released via Stones Throw. His music dips in and out of classic 80s and 90s R&B styles-- capturing the heady feel of Keith Sweat, K-Ci and Jojo, and Guy. 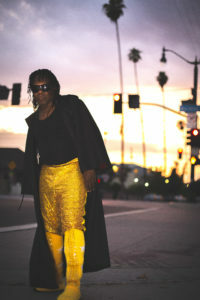 Prophet is an underground 80s synth funk singer/musician who garnered a cult following from one private-press, self produced LP he put out in 1984 called Right On Time which now goes for $200 in stores. Stones Throw has now just released his second album ever, pairing him up w/ labelmate Mndsgn.